As we talk about public safety diving (PSD) we hear a lot about the divers and their training or types of equipment divers need to get the job done safely. But when it comes to tenders they often get lost in the shuffle. There are those who say you can take anyone off the street, hand them a tether line and make them a tender. What do tenders do after all? They get divers items they might have forgotten or need, and then they just hold the divers safety line and tell them when to change direction. They then bring the diver up every so often to check their air. Sounds very simple. Then there are those who believe a confident, well-trained tender may be the most important person on the dive seen, especially as it pertains to the diver’s safety and to search effectiveness. This article will address two issues – the importance of tenders in general, and then the value of having dedicated tenders on the dive team. Tenders function in several roles to the diver including director, assistant, and safety officer. Well trained tenders can effective make sure divers are physically, mentally, and equipment-ready to dive. They can evaluate environmental conditions to know what search patterns will be most effective and can ask the two most critical questions to diver safety: “What can go wrong on this operation?” “If those things do go wrong, does my diver my back up diver and I have hands-on practiced contingency plans to get us both home at the end of the day?” Yes, command staff should be asking those questions, but the tenders are the ones on the front line who should be catching the environmental details as they happen and who are constantly and consistently evaluating the overall operation and divers safety. Let us review some of the responsibilities of the dive tender. 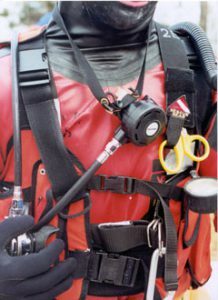 The tender helps the diver dress, which means he or she needs to thoroughly understand the diver’s equipment, how it is assembled, and how it works. If something goes wrong they need to know how to fix it. For something as simple as switching tanks, tenders need to know how to properly tighten or re-thread the tank band – “metal, middle, bottom, and top”. must know how to properly assist divers in dressing a dry suit verses a wet suit. They need to make sure that the delicate neck and wrist seals are properly donned and are not too tight, cutting off circulation. They need to know how to immediately recognize the signs of carotid sinus reflex. Tenders need to make sure that the seals don’t leak and are sitting in the right position, especially in contaminated water. Is the inflator valve in the correct 450 downward position for a rapid contingency disconnect and is the hose properly connected? Is the deflate valve set to the right position for the depth and temperature of the dive? Is the skull cap sitting properly under the hood, and is the face seal correctly cut to prevent leaks and to prevent the chin section from slipping upwards sealing off the diver’s airway? Does the diver need ankle weights? Are the gloves properly donned to make a safe seal? Did the diver effectively ‘burp’ the suit? Is the diver’s weight system loaded with the right amount of weight to keep the diver neutral to 2 lbs negatively buoyant depending on the dive job and environment? 1. While dressing the diver tenders perform several tasks. Tenders work alone or with divers to assemble the dive equipment and tenders perform the first check of the assembled gear prior to it being put on the diver. They know where everything is on the dive trailer or truck. A well-trained and experienced tender will recognize equipment problems and know how to fix many of them. They will know how to evaluate air leaks or full face mask problems, swap out a broken fin strap, manage a regulator freeze-up, and might even know how to quickly patch a vulcanized rubber suit on the scene. Tenders help divers dress and work to assure that divers do not overheat or wear themselves out just by getting dressed in a hurry or on a hot day. On cold days, tenders work to keep divers warm and help prevent equipment freeze-up problems. Tenders make sure that the gear is properly fitted and in full working order. Divers and tenders perform a full gear check prior to entering the operations zone. They assure that the all air is turned on and that pony bottle or other support systems are fully functional. 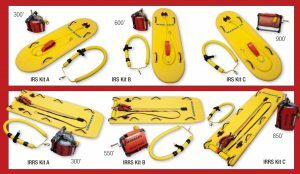 They make sure that divers can effectively and reflexively reach all their equipment without looking, and if divers can’t, good tenders will correct the problems. Post dressing tenders can re-affirm basic signals and begin a basic over view of what this dive operation is about and how tenders and divers might interact. Tenders check diver tether lines and perhaps electronic communication systems to assure they work properly, and when they don’t experienced tenders will know how to fix them or who to see to get that done. 2. The tender helps the diver get to the water or boat and then runs the dive. Divers are basically underwater rovers with their tenders directing their movements and monitoring their times, air pressures, search quality, and breathing rates. Tenders assure that all the needed equipment is in place. They help belay the diver down a slope, up and over things that might be in the divers’ way. Tenders do whatever is needed to keep the divers stay safe. They makes sure their divers are hydrated, and help keep them cool or warm as is appropriate for the conditions. A well-trained tender understands that dumping water over dry suit divers on a hot day is not the best way to cool them down, and know how to perform more effective procedures. If the diver-tender pair is the back up team, the backup tender coordinates with the primary tender in order to maintain a constant awareness of what the primary diver is doing and where the diver is in relationship ton the dive operation. Experienced tenders understand the need to know the difference between moving and non moving water and how to properly tend their divers and orchestrate a rescue of their divers in possibly changing conditions. Effective backup tenders continually maintain the record keeping for the primary team, in order to be alert and totally aware of what is going on during every minute of the dive in case he and his diver are suddenly needed, and to document the search effort. Backup tenders are aware that if the search item is not found they and their divers will be next in the primary slot. These tenders therefore should be aware of any difficulties during the prior dives. Well-trained tenders know how and why they needs to be counting divers breath rates (exhalations) every 5 minutes and how to extrapolate that information with depth and individual diver surface air consumption rates to calculate the air use of their black water divers who cannot read their own gauges, so divers do not have to come up every few minutes to have air checks. Trained tenders understand lots of up and downs are not good for their divers ears nor is positive way to maintain a consistent search. 3. Tenders run the search. As the primary tender he needs to know how to play the game. Tenders must have a thorough knowledge of the teams’ safety standards, and the standard operating procedures and guidelines. They also know how to apply them. Tenders must have a basic idea of how deep their divers are based on the angle of the safety line, must continually read line markings to know and document their diver’s distance out. Experienced tenders understand the importance of a taped and measure diver tether line and know that putting loops in a line every so often is not going to give a repeatable distance. They know that loops in the diver’s safety line will increases the chances of otherwise missed snags, will increase the coefficient drag on the line, and willl reduce the line’s free movement through the water. They also reduce the ease of sending a signal as well as the distance a proper signal will travel. Experienced tenders know when their dives are okay or not. They know how to ‘read’ or feel little movements in the diver’s safety line. They can distinguish movements that indicate that the diver’s line has just caught a snag or has just become free of one. Well trained tenders know what to do if the diver’s safety line does get snagged. It all sounds simple but what direction do you as a tender move if a diver doing an arch pattern catches a snag? The tender must immediately move in the opposite direction the diver is moving in order to maintain direct line access and be capable of signaling the diver to stop before his line is compromised to point where you can no longer get a signal to pass the snag, and before the diver begins to arch back toward the tender. Experienced tenders know how to tend divers in heavy grass, on slopes, in heavy mud areas, and where there are a lot of submerged trees or other debris. Only experienced and well trained tenders know how to safely and effectively tend a diver that has, or needs, to go under a pier or dock? Tenders, like divers, need specific training and experience to perform submerged vehicle dives. They need to know how to work their divers around vehicles, and when a tender controlled search should be changed to a diver-controlled search. Electronic communications can be a real asset to a search when used by competent tenders. Tenders need to understand that the more they talk the more divers will lose search concentration and are more likely to hold their breath while listening to their tender. Good tenders can tell if their divers are stressed or concerned by what they say and how they say it. Such experienced tenders know how and what to say to turn a stressed diver into a calm and functional one. An inexperienced or poorly trained tender can have just the opposite effect. 4. We often work in poor to zero visibility. Trained tenders guide their divers, assuring that all areas are being methodically searched. 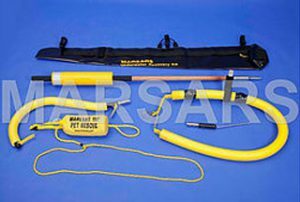 They know when an area has been searched well or when it has been searched too quickly for the size of the search item and the environmental conditions. They know how to set up turning points and properly work a search area. They know how to create a profile map and work with ranges. They understand the importance of a tender remaining in one place unless they are using a pier walk type search pattern. They will have a library of tricks they can use to change or adapt the pattern as needed to help the divers get their job done as efficiently and safely as possible. Since as divers we often cannot read our own pressure gauges. A basic tender should know how to figure out approximate air usage of their diver, on a three to five minute basses, based on diver exhaust bubbles and approximate depth. They should be capable of knowing within a few hundred psi of how much gas their divers still have available. They should understand when their diver is working too hard based on increased exhaust or breaths per-minute. Tenders using electronic communication systems can listen to their divers breathe A good tender is alert to their divers safety every minute of the operation. A diver may be task loaded at any point before, during and after a dive. A good tender will recognize this immediately and correct the problem. Good tenders now that they need to be especially alert in low to zero visibility dives. Was the diver’s ascent too quick or has the diver exhibited any signs of fatigue or anything that would alert an observant tender that medical concerns could be an issue. Were pre and post dive blood pressures taken? Divers may be cold or may require hydration.. They may need help getting out of their gear due to cold hands. This requires help from a person who knows how to dress or dress down a diver without destroy portions of the gear. Dry suit seals are a common target of inexperienced tenders. Tenders need to know how to properly log and maintain the required paperwork for safety and to meet the minimum standards of the industry. Tenders assist with post dive gear maintenance and might actually have to perform all the maintenance including re-loading the gear into the transport vehicle if divers require a period of warming or rest. 6. Moving water and other higher risk environmental conditions. Tenders need to know when and how to abort a dive based on changing conditions that can include currents, debris, and weather conditions. They must have effective decision making capabilities. This requires understanding moving water, bottom compositions, effects of temperatures, water quality and much more. They need to know the depth perimeters of the diver and team in order to keep the diver out of depths beyond their capabilities. The same is true for all safety standards relating to environmental conditions. 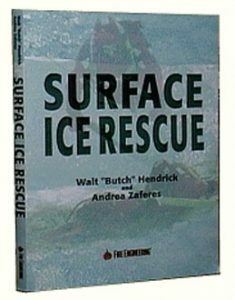 A trained tender knows the average dive team cannot function safely from a shore-based operation in currents greater than a half a knot. In currents greater than a half a knot the operation should be moved to platform or boat based operations. This means tenders need to be capable of running boat dives, and hence need to be capable of setting up the dive boat with hurricane anchoring and other procedures. Good tenders understand the need to maintain direct line access to their divers and how difficult it is to rescue a diver who is at an off angle off to the current. They need to know how difficult it is to search in a current and how to work current-based patterns. They know how to calculate how fast a current is moving and if their team is trained and capable of diving such conditions. As we discuss Public Safety Divers and support teams it is important to understand that the average diver on a PSD team has less than 100 or even 50 dives. Many of these divers never go sport diving. Many have had little or no real public safety training, and many of those who have had public safety training have only a basic level. A trained support team of well-trained and experienced tenders is imperative to diver safety and search effectiveness. With limited dive experience these divers do not have the experience to make all the required dive decisions. Tenders may be the most important people on a dive operation. If a diver finds the search item, that occurred in large part because of the tender. If a diver goes home at the end of a difficult dive, that is in large part because of good surface support. The importance of having dedicated tenders is often overlooked and undervalued. A dedicated tender is a member who serves strictly as shore support and who does not dive. These team members are invaluable and are worth their weight in gold. If we had a choice of who was going to tend us on a dive, we would choose a dedicated tender over a diver-tender on almost every occasion. Let’s take a look at why teams should have dedicated tenders in addition to members who serve as both divers and tenders. Divers, especially in rescue modes, are known to shortcut and can have tunnel vision funneling their focus on the goal while having blinders towards the process of getting there. This can also be true when divers are acting as tenders. For example, a diver-tender notices that his diver has a small air leak where the pressure gauge connects to the high pressure hose. Most experienced divers have had this occur to them, and most of those continued diving rather than aborting the dive with little ill effect. Only a few divers have experienced the possibly consequences, namely that the gauge blows off the hose. The diver-tenders who lack that experience are very likely to tell their divers “oh, don’t worry about it, it’s only a small leak, you’ll be fine,” and allow the divers to dive. A dedicated tender on the other hand, knows only one thing: if the diver does not pass the equipment check then the diver does not dive until the problem is corrected. 2. Dedicate tenders tend to take their job more seriously than do diver-tenders. Dedicated tenders sole purpose is to tend. When you tell a diver that he or she has to serve as a tender, it is not uncommon to hear a groan and “I wanted to dive.” If it was up to many divers, they would prefer to be ‘dedicated divers’ rather than diver-tenders. Since the diver’s life is in the tender’s hands, we want tenders who take their jobs very, very seriously. We find that dedicated tenders often come to training and actual operations more prepared with the necessary tools such as gloves, stopwatches, clip boards, etc. They often give more of an effort to documenting the search and diver profile information. 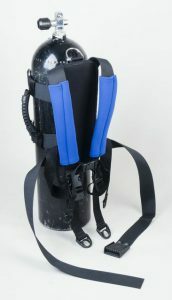 Diver-tenders are often more focused on their dive equipment and the job of diving, than they are on tending. To them, tending can be a necessary pain in the neck. We have had many divers admit to us that tending is more involved than diving, and requires a more discipline. Divers only have to do two things – keep their lines taut and use their mind’s eyes to visualize everything they physically touch. Tenders are constantly monitoring many more things and are continually making decisions. Divers just do what they are told through line signals or electronic communications: “go down, search left, stop, search right, stop, search left…time to end the dive.” Tenders decide the distance out for each sweep, while divers simply keep the line they are given by the tender taut. 3. Dedicated tenders only have to focus on tending when they are training or are working on actual operations, hence, they have the opportunity to become more proficient at tending than can team members who have to serve as both divers and tenders. Just consider a single 3-4 day training program – a diver has to make at least 5 successful dives, and spends considerable time staying in one place as a backup diver and a 90 percent ready diver. If they get to serve as a primary tender more than twice, and as a backup tender more than twice they are lucky. Dedicated tenders on the other hand get at least twice as much tending learning experience as their diver-tender counterparts. 4. Dedicated tenders typically make the best safety officers for the reasons explained above. They are less likely to let divers get away with things and are often more detail oriented than diver-tenders serving as safety officers. 5. Dedicated tenders save the department significant money. Public safety divers first need entry-level diver certification that can cost hundreds of dollars in addition to salaries if the divers are not working on a volunteer basis. They then need enough dive experience to make them competent and confident enough to move towards entry-level public safety diver certification. Tenders do not require any of these expenses. Next, most public safety diver courses charge at least twice as much for tenders as they do for divers who are taking the same program. Then there is the issue of equipment. Divers need thousands of dollars worth of equipment – even if it is shared. A tender can be outfitted for less than $80, which includes a decent personal flotation device and two sets of gloves. Dive gear requires maintenance. Tender gear maintenance consists of watch batteries, paper, and writing utensils. A team requires a minimum of five team members to make a single dive – a primary diver, primary tender, backup diver, backup tender, and a 90 percent ready diver. Even with dive gear sharing it will cost far more to have that team made of five diver-tenders, than it will if it was made of 3 diver-tenders and 2 dedicated tenders. Simply put, a team without dedicated tenders, has to have more dive gear than will a team that has a mix of diver-tenders and dedicated tenders. This can be a difference of many thousands of dollars. Additionally, a team that has more dive gear has to have a larger vehicle or trailer to house and transport the gear. Such a team will have greater annual service costs and repair fees. 6. Loss of valuable talent and experience occurs when you limit team membership to certified divers only. There are some very talented tenders out there who can’t dive even if they wanted to because of ear or other medical contraindications. Who would you rather have tending you – a person who joined the team because they wanted to be a tender, or a person who joined the team to dive and now is stuck being your tender? Also, what happens to a team’s most experienced divers who have decided because of age or other issues that they no longer want to dive, but they still want to be tenders. If team membership requires all members to serve as divers, then these invaluable ex-divers will be thrown out rather than incorporated as experienced team members and even officers. We are sometimes asked by teams if we think they can train their own tenders in house and send their divers out for training. Our response is the tender’s job actually requires more skill in many ways than that of the diver, so you answer that question. In summary, tenders are the most important people on dive sites, and dedicated tenders typically make the best tenders and safety officers. Dedicated tenders will save the department money, will increase team safety and will increase team effectiveness. A policy of having dedicated tenders allows the most experienced team members who were divers and no longer can or want to dive, stay on the team to continue sharing their expertise with the team.